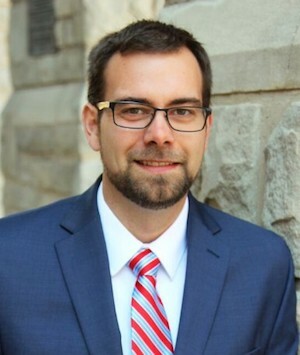 David Hutchison has been announced as the new vice president for advancement at Lyon College. He will start January 10, 2019. In his new role, Hutchison will be responsible for increasing advancement efforts, assessing the need for program and organizational adjustments, and implementing projects of improvement. This is an exciting time for the College as it institutes its goals of the four year strategic plan, which Hutchison will partner with President Joey King to accomplish. As the executive director of advancement and alumni programs at Central Methodist University in Fayette, Missouri, he successfully executed a $20 million capital campaign, added $4 million to the university’s endowment, oversaw the major gifts program, and managed several alumni engagement initiatives. Hutchison also served on the executive board for the Fayette Main Street Association, where he fundraised for economic and community development projects. Before his time in advancement, Hutchison was a pastor for the Central Methodist University campus. Besides leading a congregation, he oversaw collaborative programs between the church and the campus community. His time in church leadership prepared him for his roles in engagement. Hutchison expects to receive his Doctor of Education in higher education leadership and policy from the Peabody College of Education at Vanderbilt University this May. He also has a Master of Divinity from Saint Paul School of Theology and a Bachelor of Arts in history and religion from Central Methodist University.